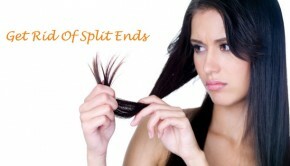 No matter what lead to that dry, dull hair, if you want to get rid of it, you are the right place. Here are several home remedies for dry hair. Believe that there must be at least one method works for you. 1. Avoid shampoo too often. The harsh cleaning agents contained in the shampoo will remove the natural oils of hair. So, if you wash your hair too often, you may lose more natural oil that helps keep the hair moisturized, resulting in dull, dry hair. 2. Choose the proper conditioner. Dry hair needs conditioner, of course the right one. Conditioner that contains alcohol will dry out hair even more. Choose the condition with little or no fragrance which may tend to be alcohol-free. 3. Try hot oil. You can purchase over-the-counter hot oil products or to make the oil treatment by yourself. 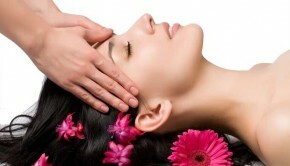 Coconut, jojoba, olive and almond oil are all proper for dry hair treatment. Choose one of these and warm several teaspoons of it in a pan and then massage it into your hair, leaving your scalp intact as much as possible. Wrap your hair with a towel or a plastic shower cap for about 20 minutes. Then wash your hair as usual. 4. Make a thick paste out of bananas and avocados and apply it as a hair mask for 15 minutes. This can moisturize your hair dramatically. 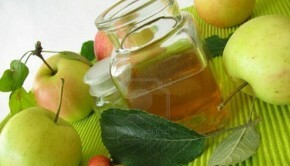 A paste of vegetable oil and honey can work as well. Just apply the paste over the hair and then wrap with a plastic shower cap for 10-20 minutes, then wash your hair as usual. 5. Beer is useful for moisturizing dry hair too. Rinse your hair with beer and then wash with cool water. Never worried about the smell, it will disappear when your hair dry. 6. Use water filter to reduce the mineral count and chlorine level in the water which will benefit your hair though it is a little expensive. 7. Egg yolk can serve as a natural moisturizer for your hair as well as add shine. You can mix the egg yolk with full-fat yogurt and then massage into hair. Leave it for about 15 minutes and then rinse with cool water. Full-fat mayonnaise works the same. Just apply one table spoon throughout the hair and wrap with a plastic cap for 30 minutes and rinse as usual. 8. Vinegar can do a favor too. Add 1 tablespoon vinegar to your hair while you wash it to improve the cleanliness and shine. 9. Brush less and comb gently. 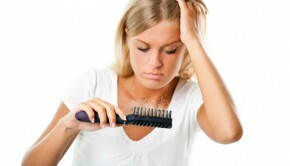 Avoid hot combs, hot rollers and blow-dryers which will worsen the dry hair. Wear hat in the winter can keep warm as well as maintain moisture. 10. Eat healthy foods to maintain the health of your hair from the inside. Foods that are rich in good oils and fats including salmon, avocados are all helpful for treating the dry hair. Also, more water consumption to keep hydrating is helpful too.